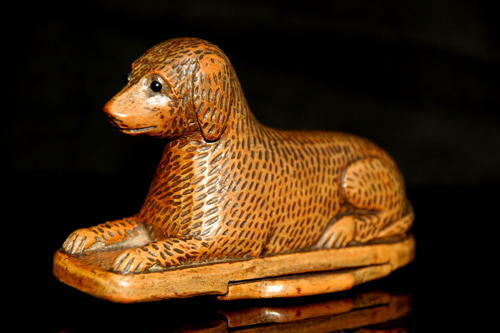 Charming Dog Snuff Box, in the form of a lying down Dog. Glass eyes and intialled "LD" entwined in a heart to underside of lid. Lovely condition and 19th century .